The island of Niue, with an area of 260 sq. kilometres and population of 1300 is the world’s smallest independent nation. It has now declared itself debt-free and plans to spend the money saved from interest payments on offering incentives to lure expatriates home. 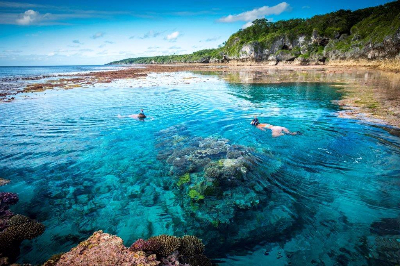 Located northeast of New Zealand, Niue is a self-governing state in free association with New Zealand. Niue now aspires to be truly free. Niue is the world’s smallest independent nation. 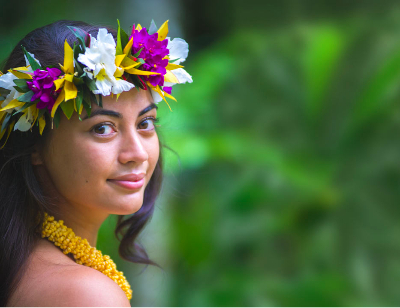 Lying between Tonga and the Cook Islands, Niue was settled by Samoans in the first century AD. Britain's Captain James Cook sighted the island in 1774 (he faced such resistance from the natives that he named it Savage Islands) and British missionaries arrived in the 19th century. 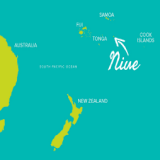 Niue was subsequently administered from New Zealand, becoming self-governing in 1974. It is also the largest raised coral atoll in the world. Its capital is the village of Alofi, land area is 260 square kilometres and its population, predominantly Polynesian, is around 1300. Although self-governing, the island is not fully independent and has a “free association” with New Zealand, which provides around $14million a year in aid and handles the bulk of the island’s foreign affairs, as well as providing its defence. Toke Talagi was first elected Premier in June 2008 to serve a three-year term. He gained the backing of parliament for another term in May 2011 and was re-elected in April 2014. 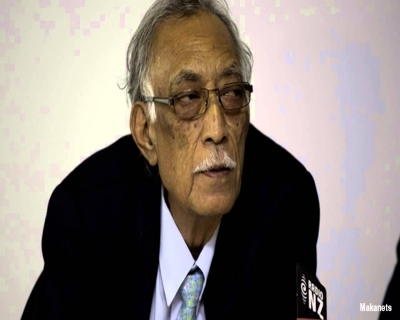 Mr Talagi previously served as deputy premier and finance minister. He is also president of the Niue Rugby Union. Niue's parliament is the Niue Assembly and consists of 20 members (14 constituency or ‘village’ seats, and six ‘common roll’ seats) elected every three years by universal suffrage. The 20 members elect a Premier, who then selects three cabinet ministers. Assembly members currently all serve as independents. The members appoint a Speaker from outside their ranks. Niue - pronounced 'New-ay' - means 'behold the coconut'. 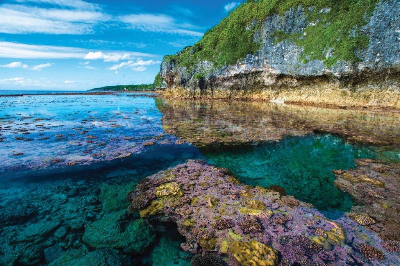 Niue has declared itself debt-free and plans to spend the money saved from servicing borrowing on raising pensions and offering incentives to lure expatriates home. Premier Toke Talagi said Niue had managed to pay off up to US$4m of debt and had “no interest” in borrowing again, especially from “big powers” such as China that had offered the country “huge sums that other Pacific islands find too tempting to resist”. “We are trying to live within our means using the island’s natural resources such as tourism, bananas and exporting water,” Talagi said. New Zealand's total aid package to Niue in the 2015-16 year is $US16.4 million dollars. When did Niue aim for higher recognition? Niue wants to be a member of the United Nations. The Premier, Toke Talagi, told Niueans at an event recently in late October marking Constitution Day, that it was time for the country to have a vote at the world body. Niue is in free association with New Zealand; its citizens are also New Zealand citizens and New Zealand generally handles foreign affairs issues, including representing the island at the UN. But Mr Talagi said after 42 years of this status Niue wanted to be part of the international community. "When we were in the process of becoming self governing the United Nations were here, and they (New Zealand) were instrumental in getting us to have the status that we have at the present moment," said Mr Talagi. "My belief is that, if that's the case, then they really should also take responsibility to allow us to become a member of the United Nations. Where does Niue’s economy stand? Fishing licences and the international lease of Niue's unique four-digit telephone numbers are important income earners for the country. Remittances from Niueans living abroad supplement the income of island families. The tourism industry is a small, but potentially important, growing sector in the economy. Noni-juice production also provides ongoing employment opportunities. The economic challenges Niue faces are common to other small island states within the region. Geographic isolation, limited natural resources and a small population hamper economic development. Cyclones occasionally devastate the island's infrastructure, including housing and tourist facilities. Under the terms of the constitutional agreement between the two countries, New Zealand provides substantial economic and administrative assistance to Niue. Economic assistance is provided in the form of both direct budget support and project-related aid. Who is Niue’s main concern right now? The government’s approach is mostly motivated by a need to retain and grow its modest population. Over decades, thousands of people have emigrated to Australia and New Zealand for jobs and other opportunities. The phenomenon left hundreds of empty houses dotted across Niue and remaining residents worried that there would be too few people left to keep the island running. The government also wants to move away from a heavy reliance on foreign aid – an ambition the New Zealand government has been keen to support. On 1st December, the pension for Niueans would rise from US$250 a fortnight to US$272, Talagi said – an increase of 9%. The government was also aiming to increase public servants’ wages in the next three to five years, to reach 80% of New Zealand rates. Talagi said government employees’ four-day work week would remain the same, as islanders had responded well to having an extra day to volunteer and participate in community activities. In August, Niue announced that parents of new babies born on the island would be granted a one-off payment of US$1,437 – a move Talagi hoped would tempt young islanders to come home and start families. How important is cultural preservation for Nieu? 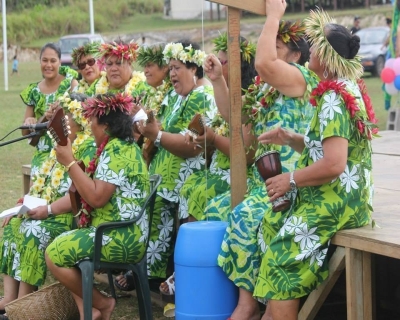 The Niuean community is hoping Niuean language celebrations around New Zealand will help to revive its dying language. 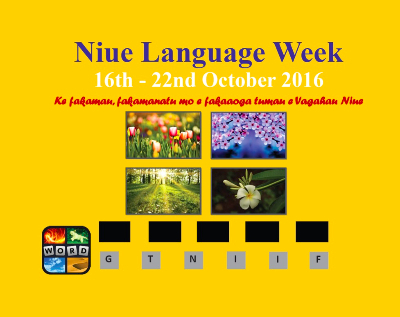 The theme for this year's Niue Language Week was 'Ponataki, Tukutaula mo e Mauokafua e Vagahau Niue' calling on Niueans to strengthen Vagahau Niue (the Niuean language). While 74 percent of Niueans around the world live in New Zealand, only around 13 percent of them are able to speak their language.